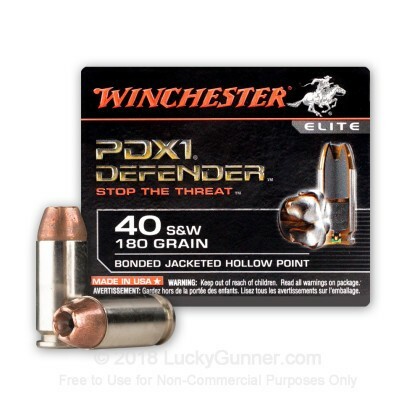 Top of the line, Premium grade home defense 40 S&W ammunition in Stock! 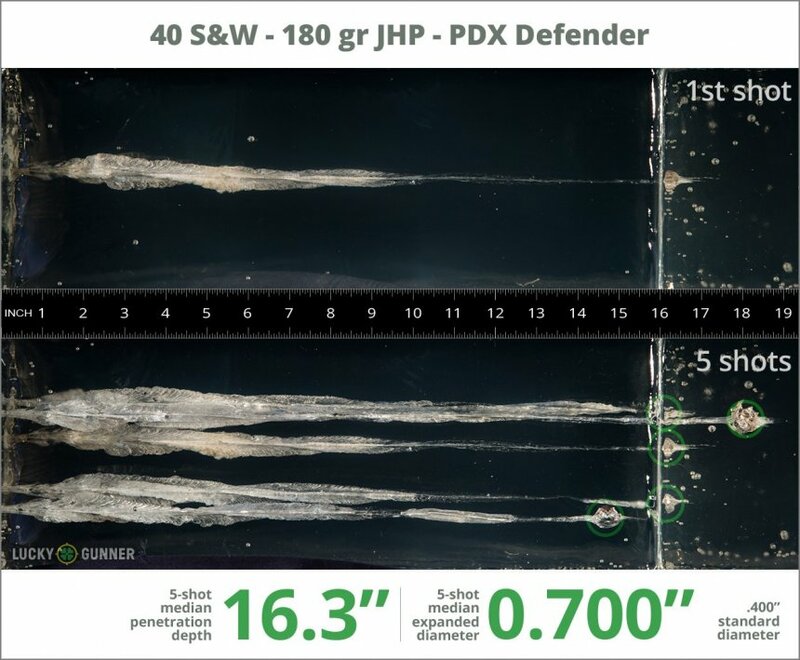 We test fired five rounds of .40 S&W (Smith & Wesson) Winchester 180 gr Defender into synthetic ballistic gelatin to observe its expansion and penetration characteristics. The ammo was fired from a Glock 27 pistol at a distance of 10 feet. A four-layer barrier of heavy fabric was placed in front of the gelatin to simulate clothing. 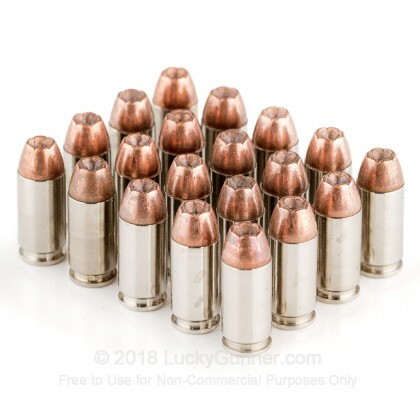 0.89" This ammo: 0.70" Min: 0.39" Median: 0.65" Max: 0.89"
this is vastly superior to other ammo I have used. 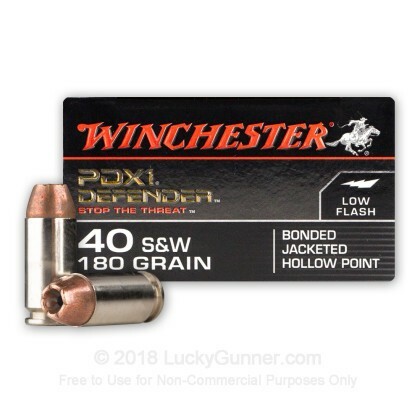 It blew my winchester Ranger ammo away. I was walking around my place and stopped to take a few shots at some stumps in my pond probably 35 yards away. Hit the stump first shot. Did the same with a few more shots. I decided while I was there to use my other magazine with Ranger ammo. They kept hitting the water 10 to 15 feet short of the stump. 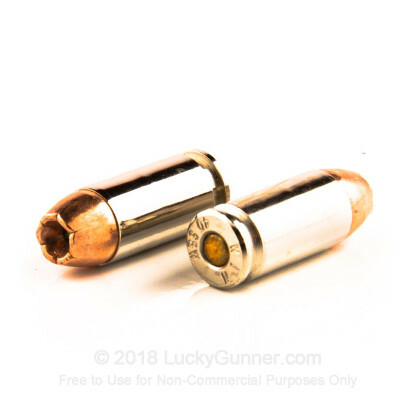 I used a Taurus 24/7 Pro .40 sw and this is my self defense ammo now. 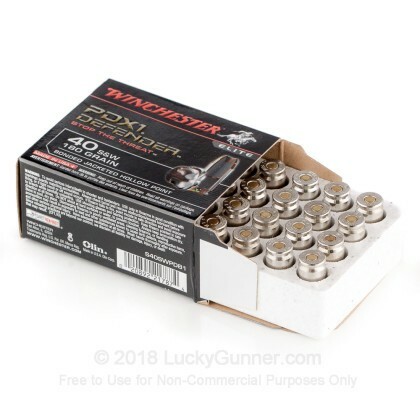 The ammo came fast & new in boxes. 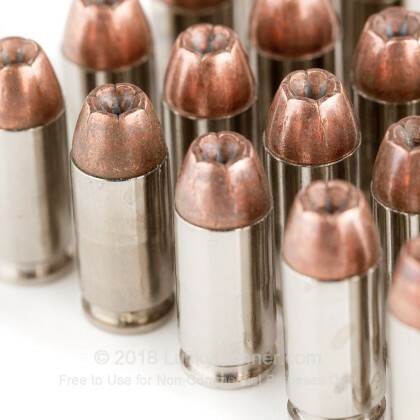 I liked the matte aluminum casing with copper JHP, The rounds shot clean and straight every time. Would definatley recommend this round.